Pictures of Dayton Ohio - Coherst Live 2013,The Official Site. 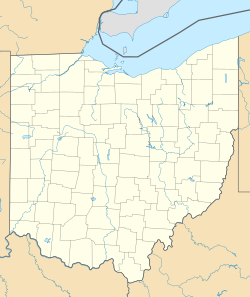 Dayton ( /ˈdeɪtn/) is the 6th largest city in the state of Ohio and is the county seat of Montgomery County, the fifth most populous county in the state at 141,527. At the 2010 census, the Dayton metropolitan area was 841,502 making it the fourth largest metropolitan area in Ohio and the 61st largest in the United States. The Dayton-Springfield-Greenville Combined Statistical Area had a population of 1,072,891 in 2010 and is the 43rd largest in the United States. 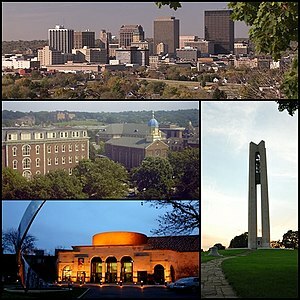 Dayton is situated within the Miami Valley region of Ohio just north of the Cincinnati–Northern Kentucky metropolitan area. Ohio's borders are within 500 miles (805 km) of roughly 60% of the country's population and manufacturing infrastructure making the Dayton area a logistical centroid for manufacturers, suppliers, and shippers. Dayton also plays host to significant research and development in fields like industrial, aeronautical, and astronautical engineering that have lead to many technological innovations. Much of this innovation is due in part to Wright-Patterson Air Force Base and its place within the community. With the decline of heavy manufacturing, Dayton's businesses have diversified into a service economy that includes insurance and legal sectors as well as healthcare and government sectors. Other than defense and aerospace, healthcare accounts for much of the Dayton area's economy. Hospitals in the Greater Dayton area have an estimated combined employment of nearly 32,000, a yearly economic impact of $6.8 billion. It is estimated that Premier Health Partners, a hospital network, contributes more than $2 billion a year to the region through operating, employment, and capital expenditures.In 2011, Dayton was rated the #3 city in the nation out of the top 50 cities in the United States by HealthGrades for excellence in health care. Many hospitals in the Dayton area are consistently ranked by Forbes, U.S. News & World Report, and HealthGrades for clinical excellence. Popeyes Fried Chicken on Gettysburg Ave.
Driving down Stewart in the DeSoto Bass Housing Projects. Dayton Boys Club, Stewart Street, Dayton. Bowman Funeral Chapel off of Randolph and Germantown. Former ceramics studio on Germantown. Abandoned lot off of Germantown Pike. Dearborn Daycare on Dearborn Ave.
Delphi on Abbey Avenue - no more. The University of Dayton from afar. Walking across Main Street near the Montgomery County Fairgrounds Complex. Wah-Fu Chinese restaurant on Brown Street. Jimmy's Cornerstone Bar on the corner of Brown and Wyoming (the old Walnut Hills Bar). Patterson Kennedy School, a grand dame that should be saved. Lutheran Church on the corner of Ludlow and Fifth. The Blood Center. Main Street. House on St. Anne's Hill Historic District. Beautiful home in the Huffman Historic District on the corner of Fourth and June. Don't know what is housed in this building on East Fifth Street, but it's pretty cool in a cold-war kindof way. The fantastical stone facade of St. Anthony's Church in Linden Heights. Bridge on East Third Street: concrete support items in East Dayton. Holden House Apartments on Fifth Street behind Sinclair Community College. club is up for sale in Old North Dayton. The backside campus of Good Samaritan Hospital. Good Sam's latest ad campaign. Grand old structure on North Main Street. Cowboy's bar on North Main Street. Forest and North Main Street. The old Breakfast Club is now The Brunch Club. is invigorating for the neo-classicist lover in us all. Cornell drive also Known as Cornell Heights. past Edwin C. Moses Blvd. modernism sits vacant on Siebenthaler Avenue. and a glass artisan shop. Siebenthaler is a testament to what we've become. Avenue now looks like the Allied Decay Company. Enter a valid email address to receive important news and information as it becomes available. View our privacy statement far left pane. And view our site new's letter. 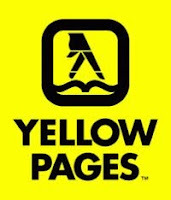 If you need more info on these company's, scroll to the bottom of the screen and view the help logics. THE NEVER GENERAL PUBLIC - ALWAYS INDUSTRY ATTORNEYS OF GOOD AND BAD MONEY.